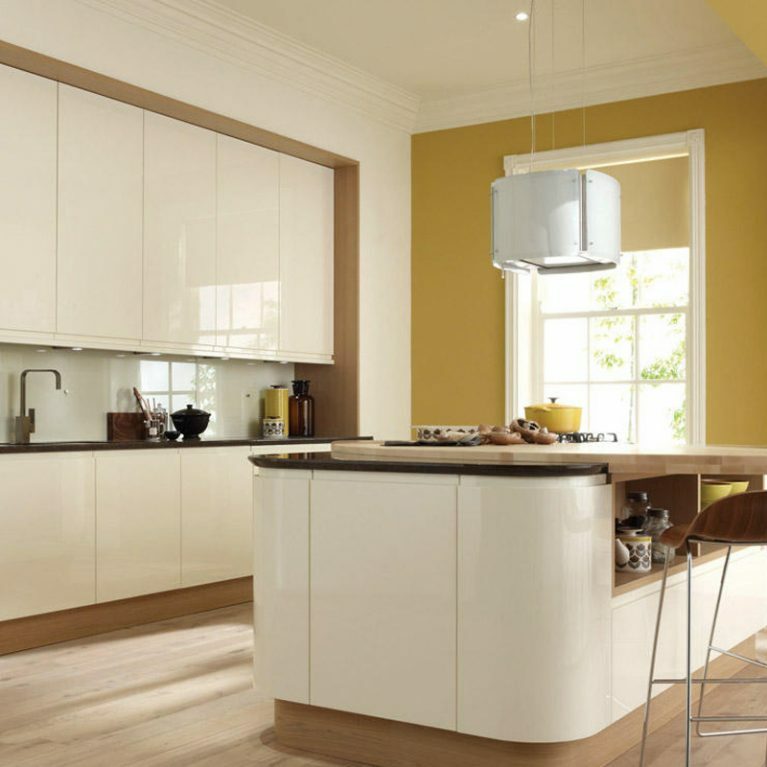 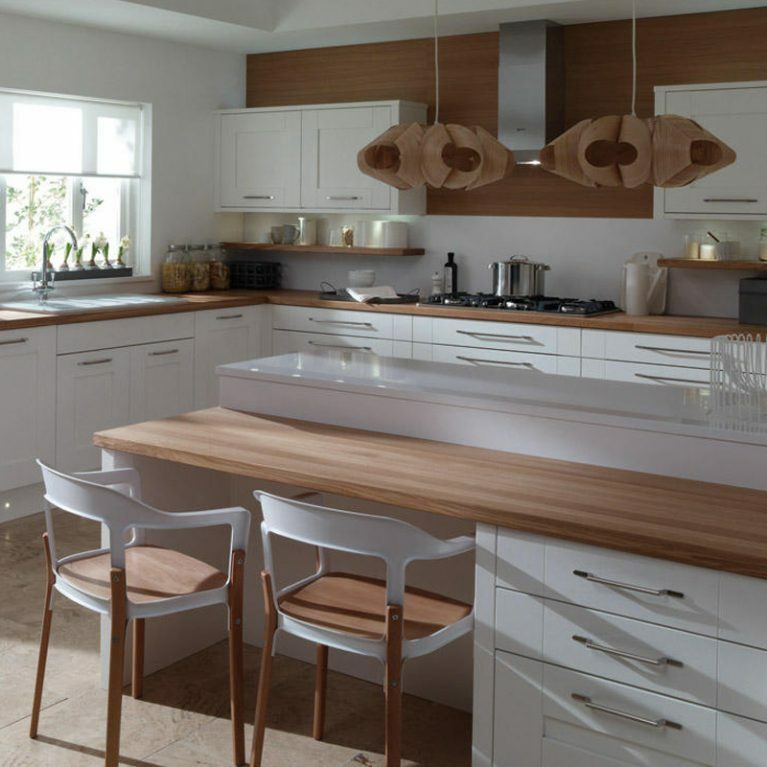 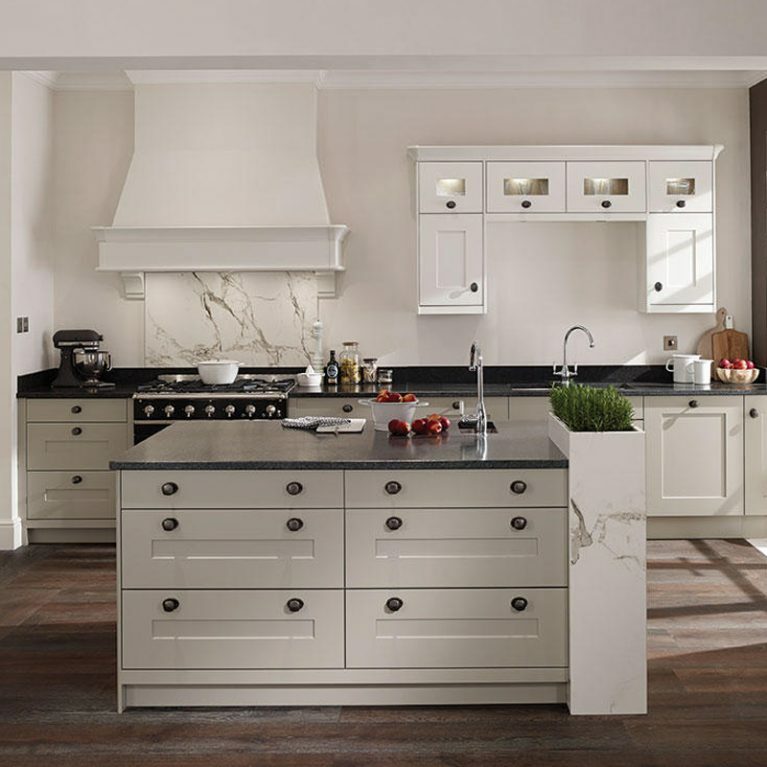 Langham Painted is one of Number One Kitchens’ most popular kitchen designs. 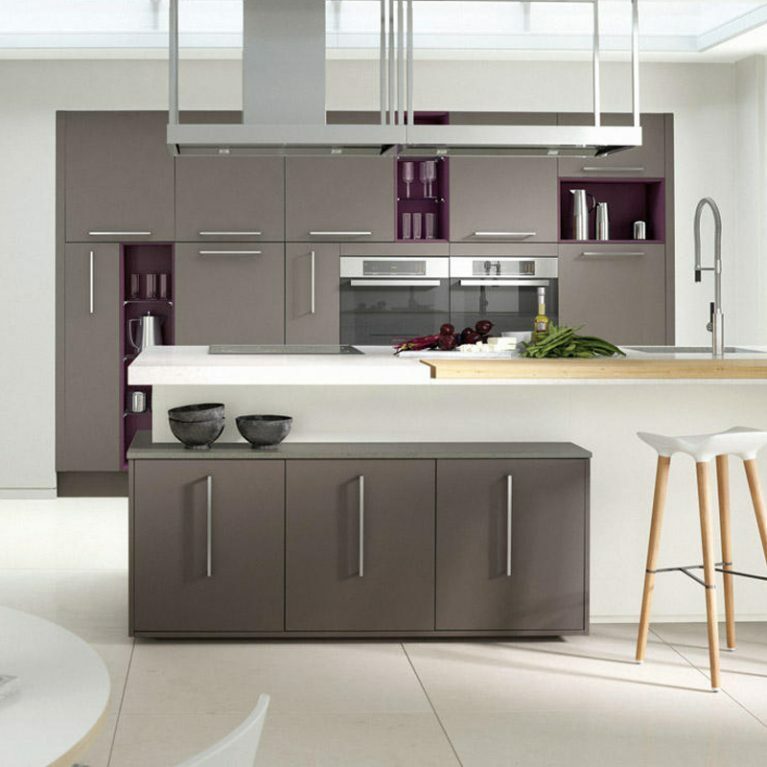 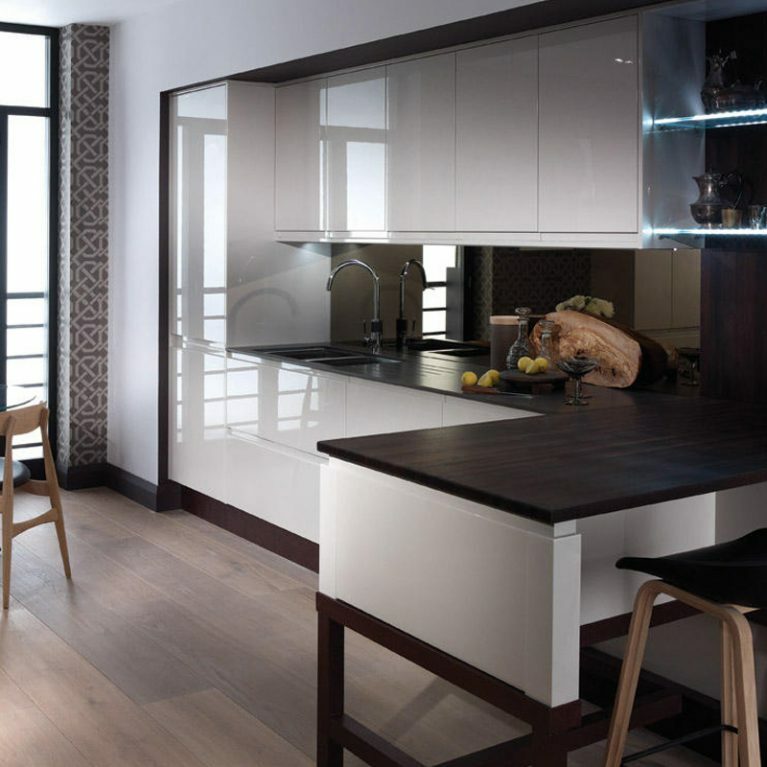 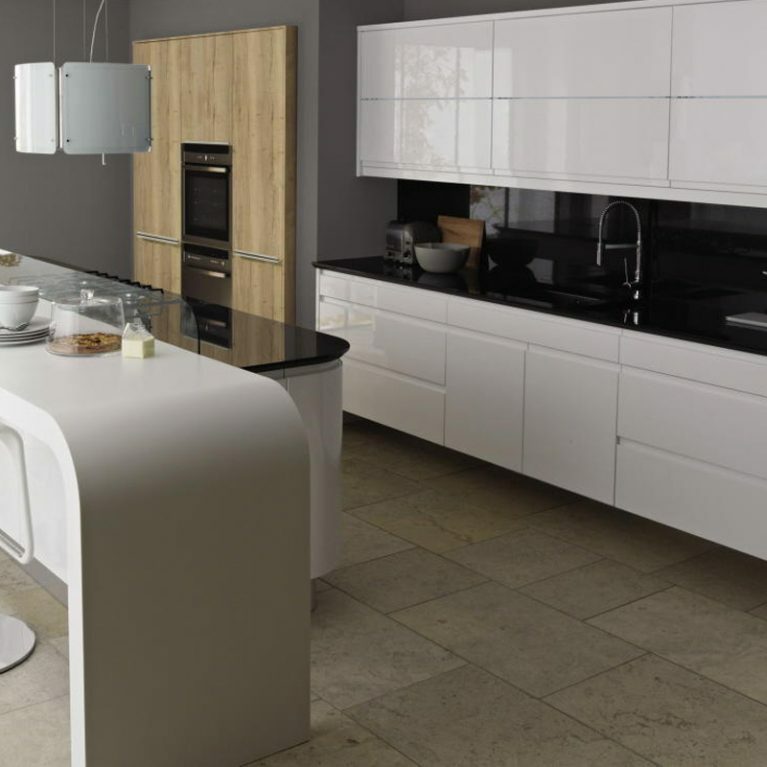 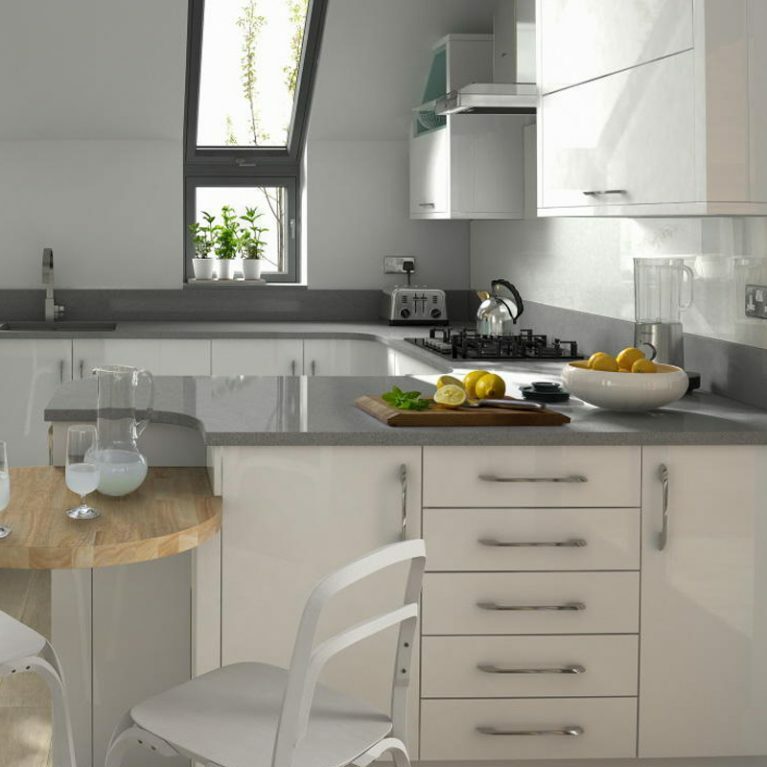 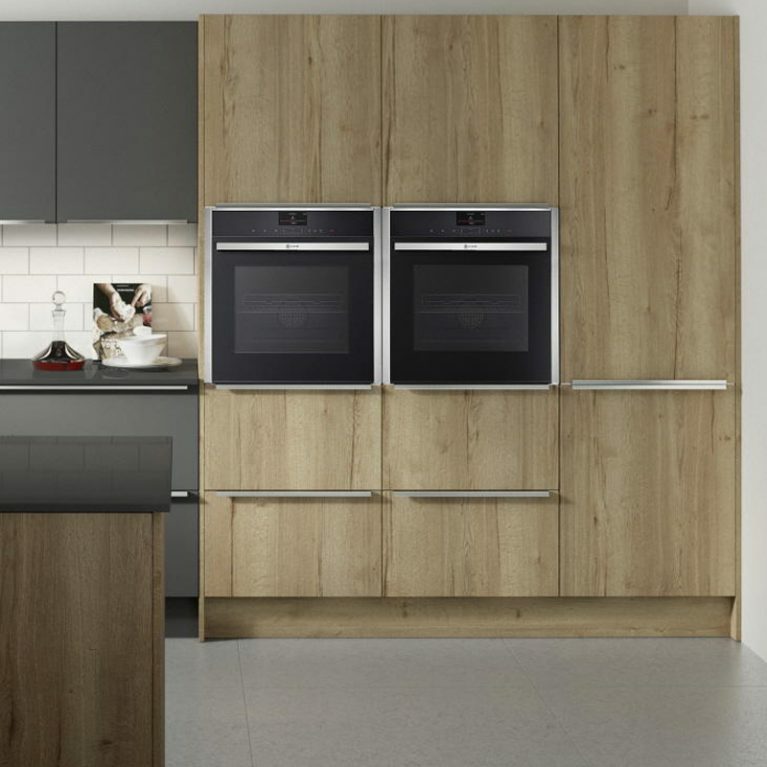 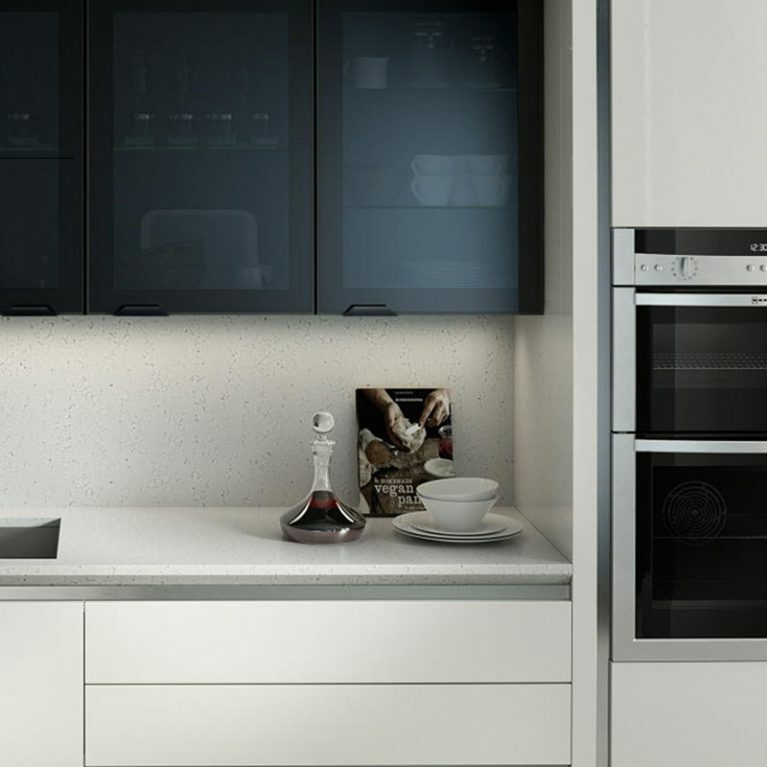 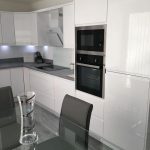 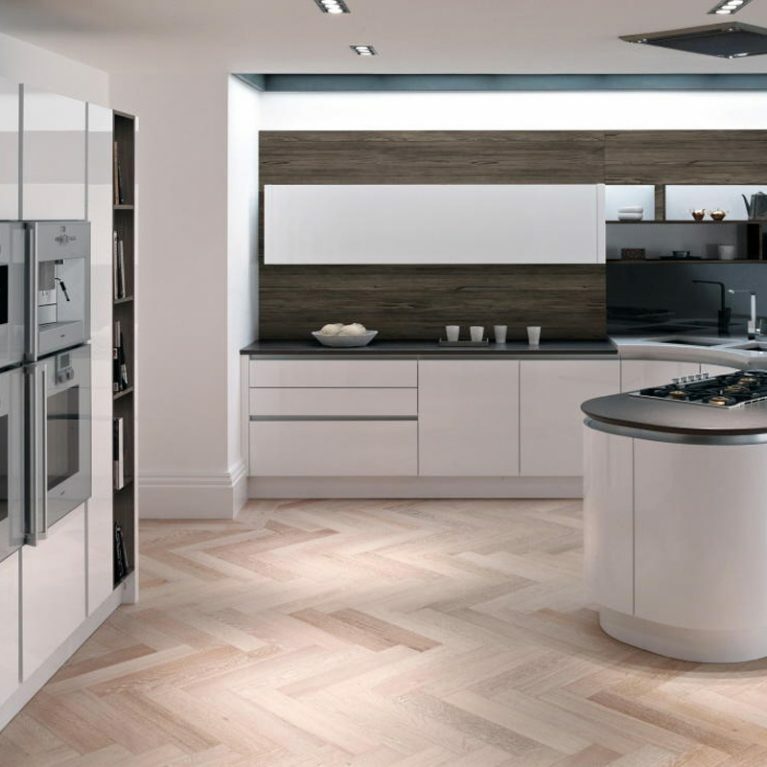 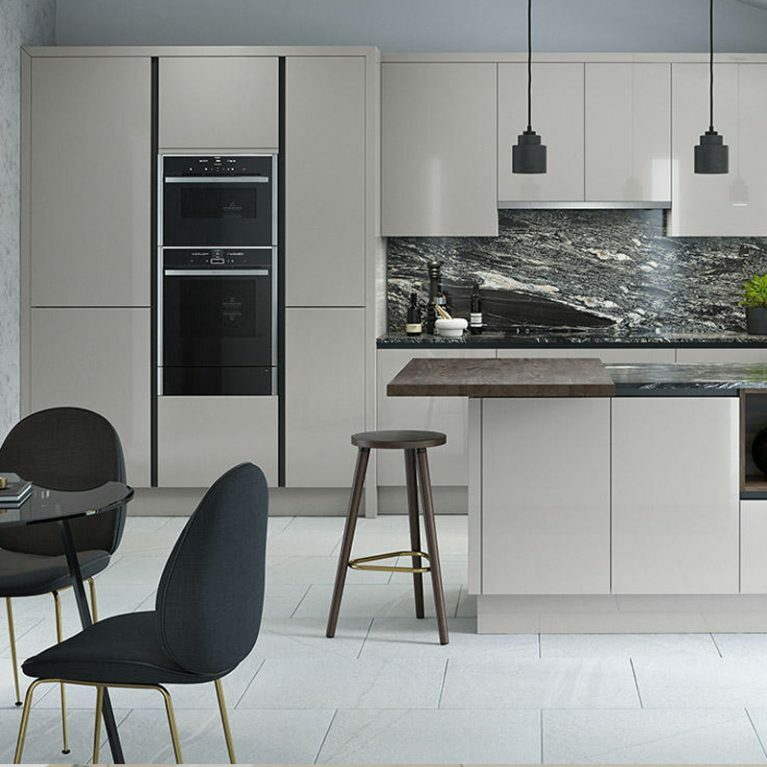 This gorgeous statement kitchen will truly transform the aesthetic of your entire above, bringing a remarkably contemporary and cool look to the heart of your home. 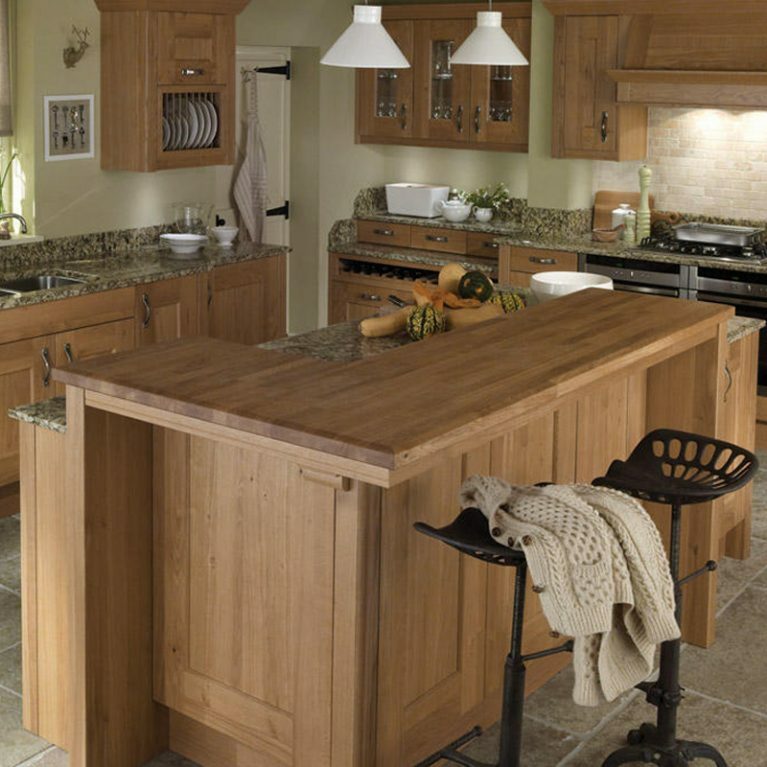 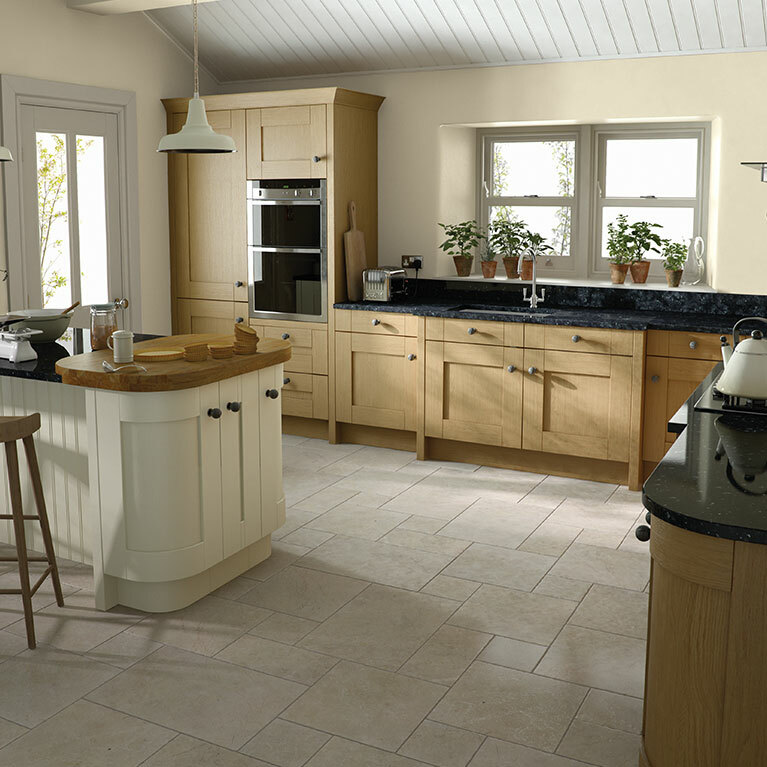 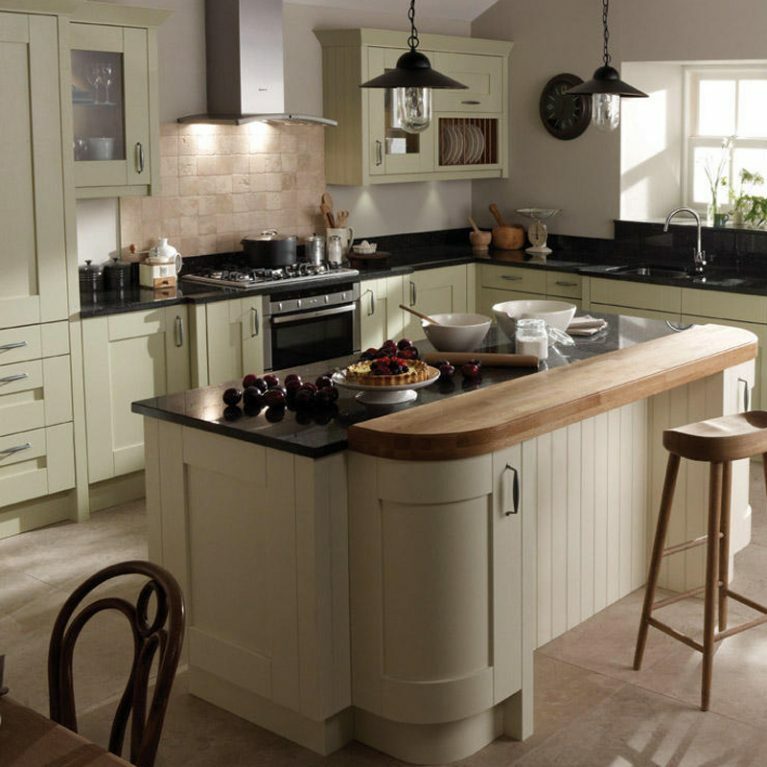 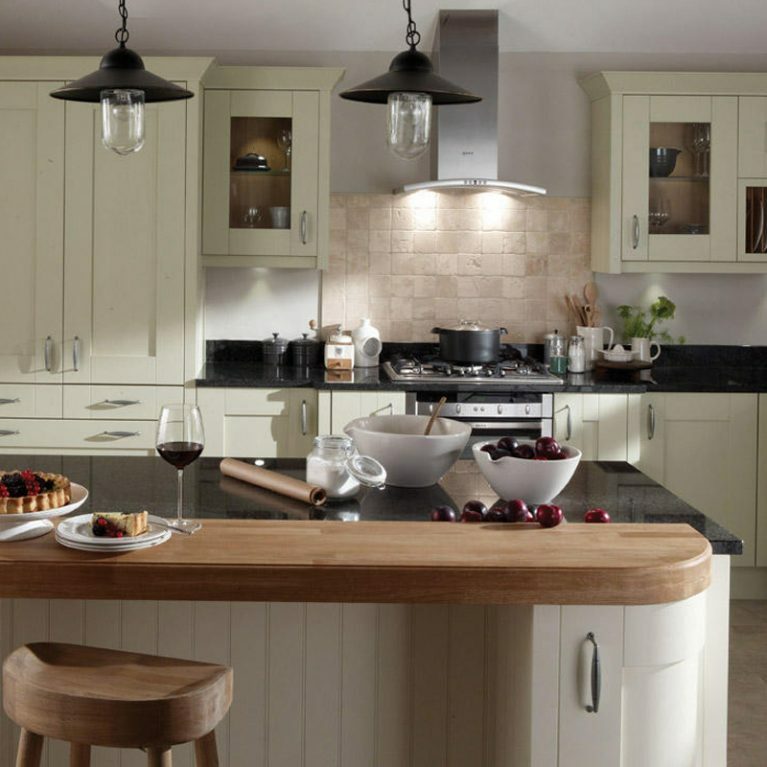 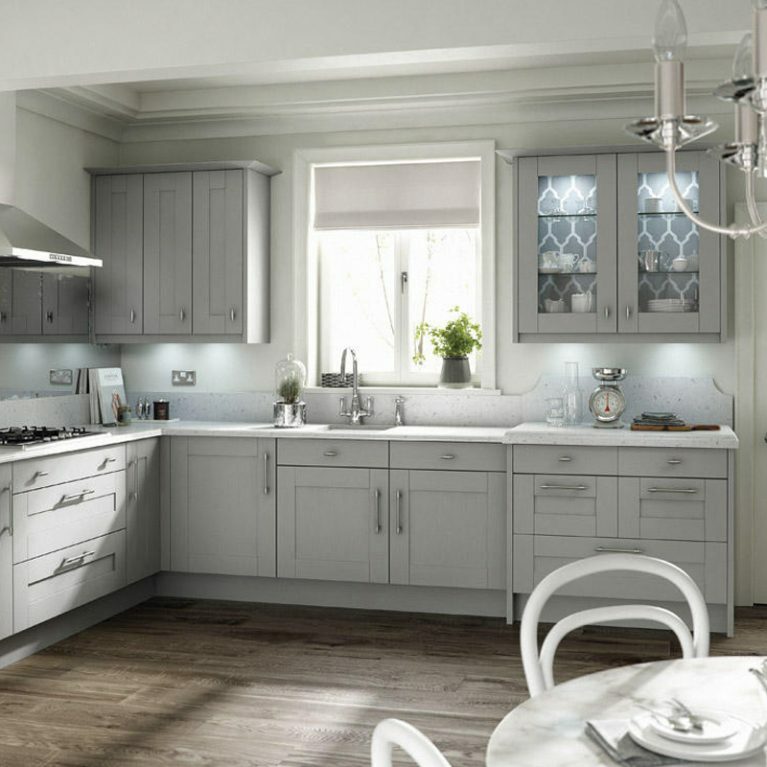 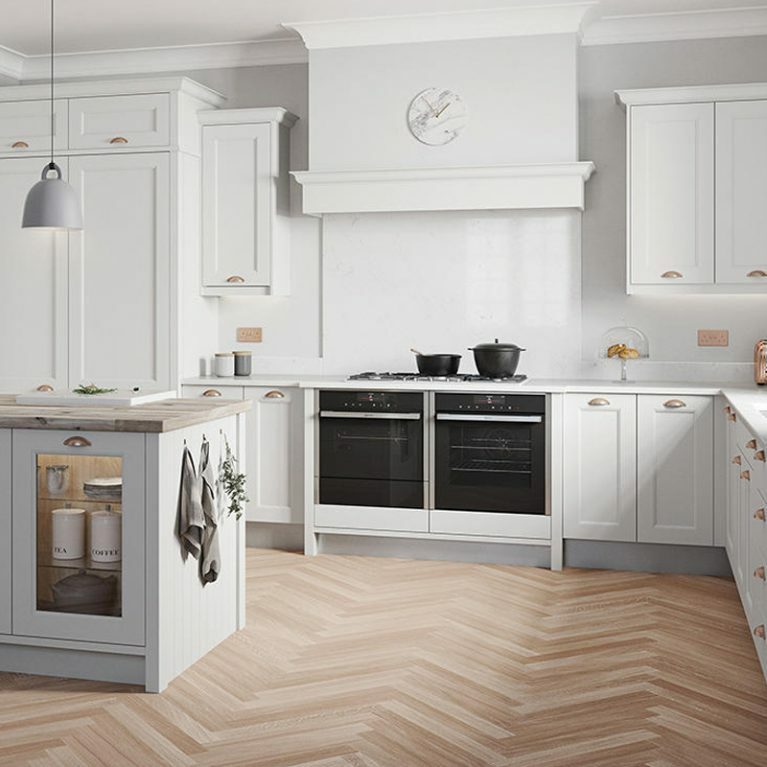 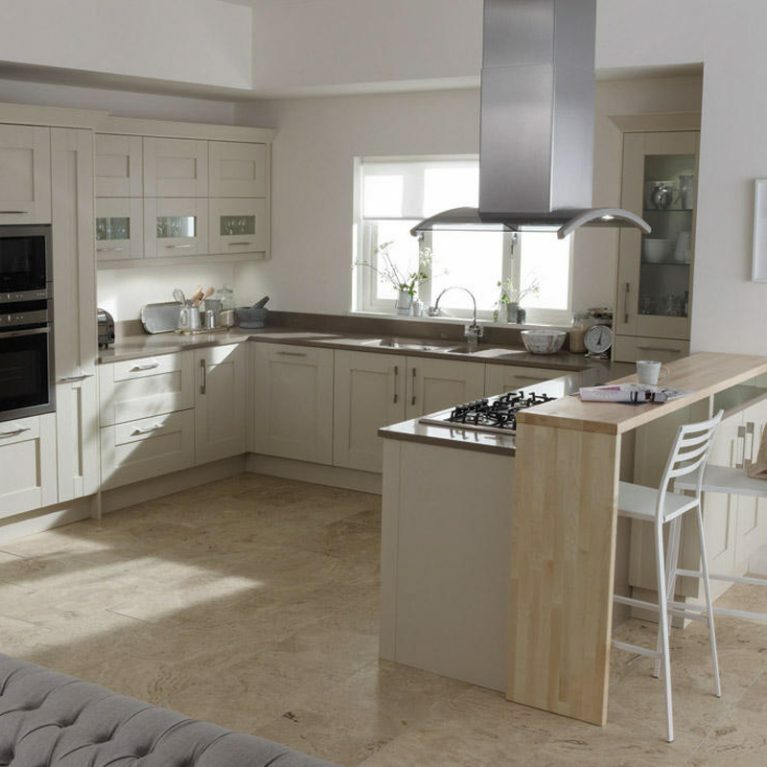 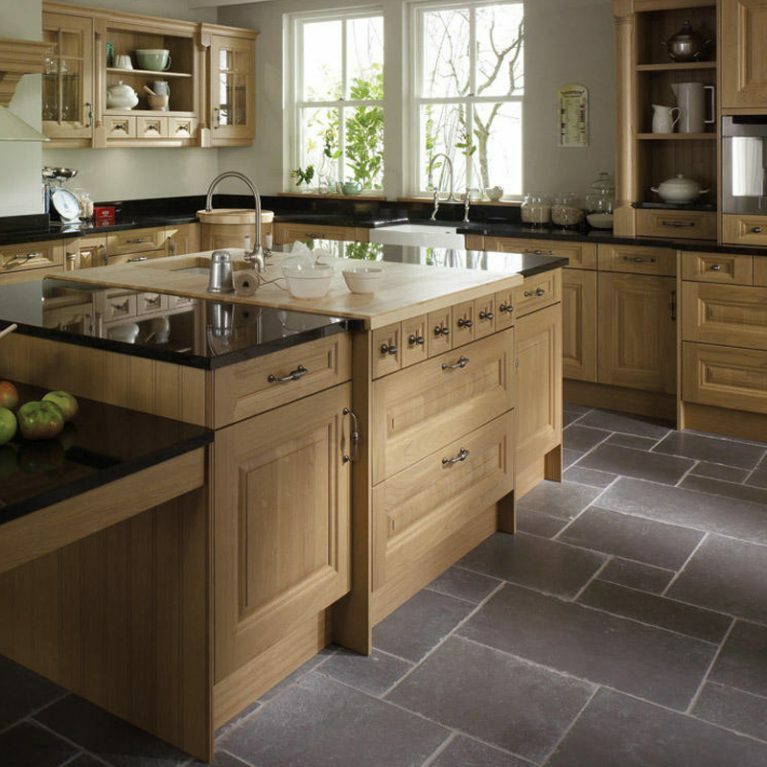 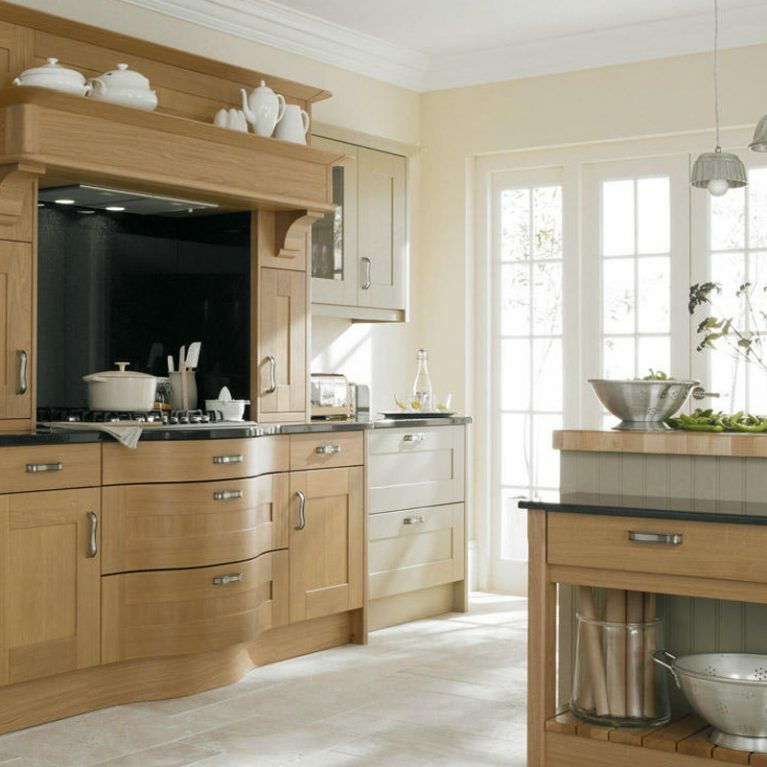 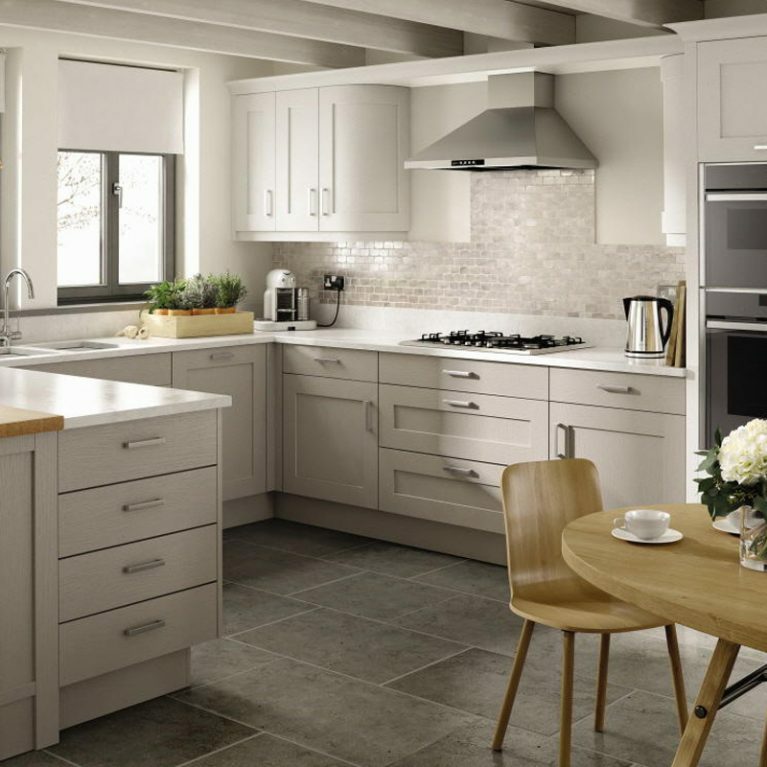 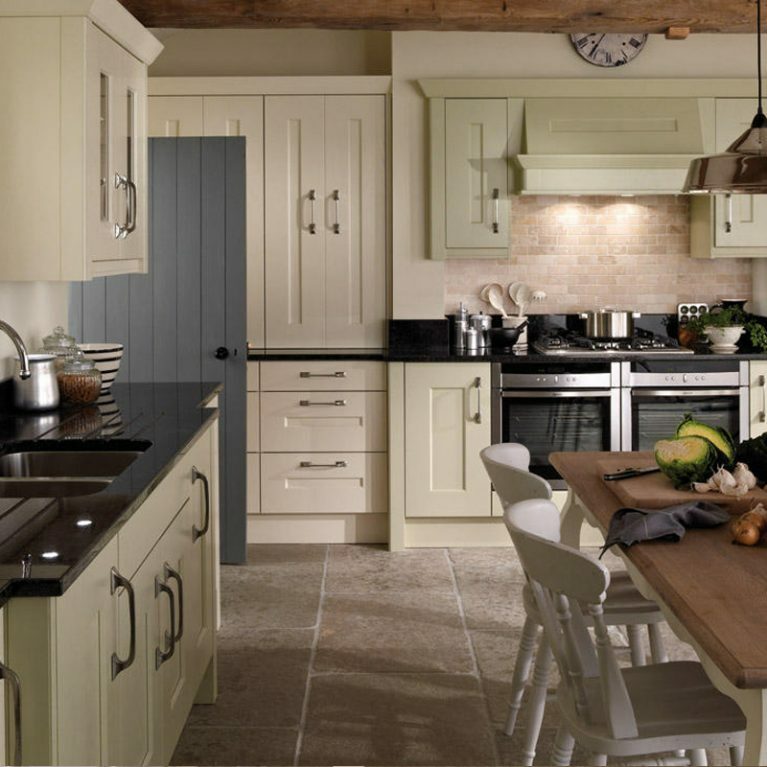 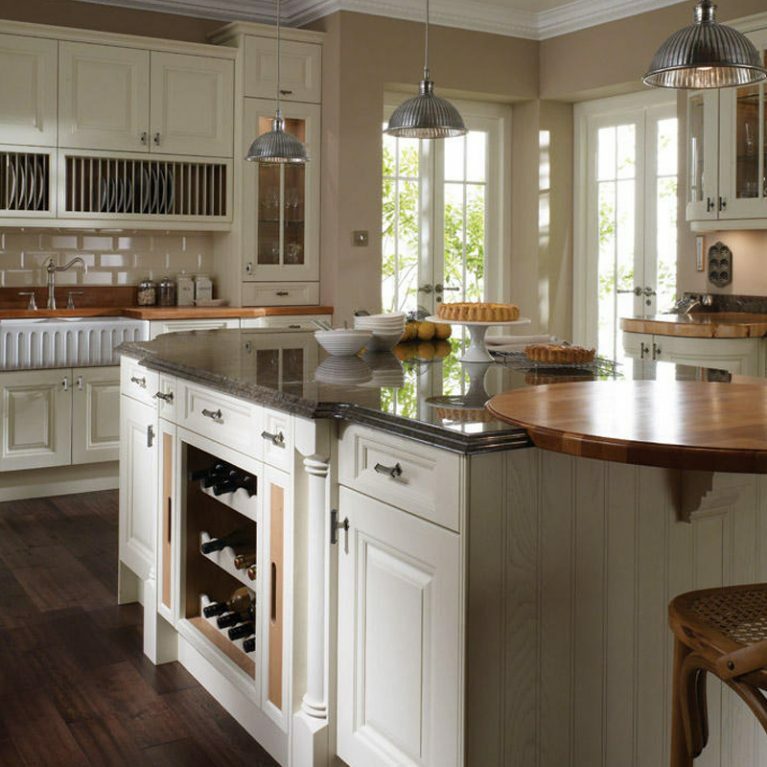 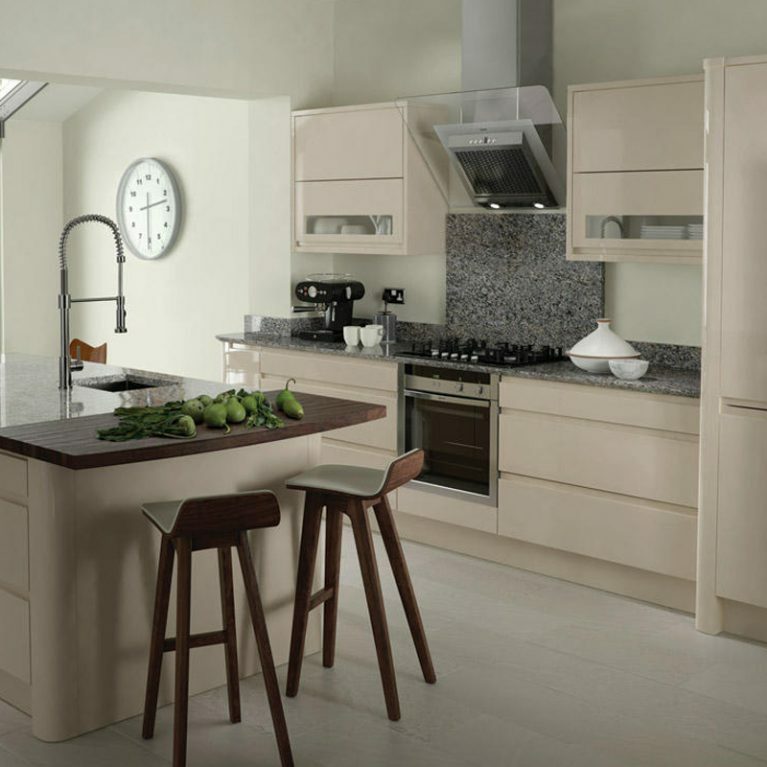 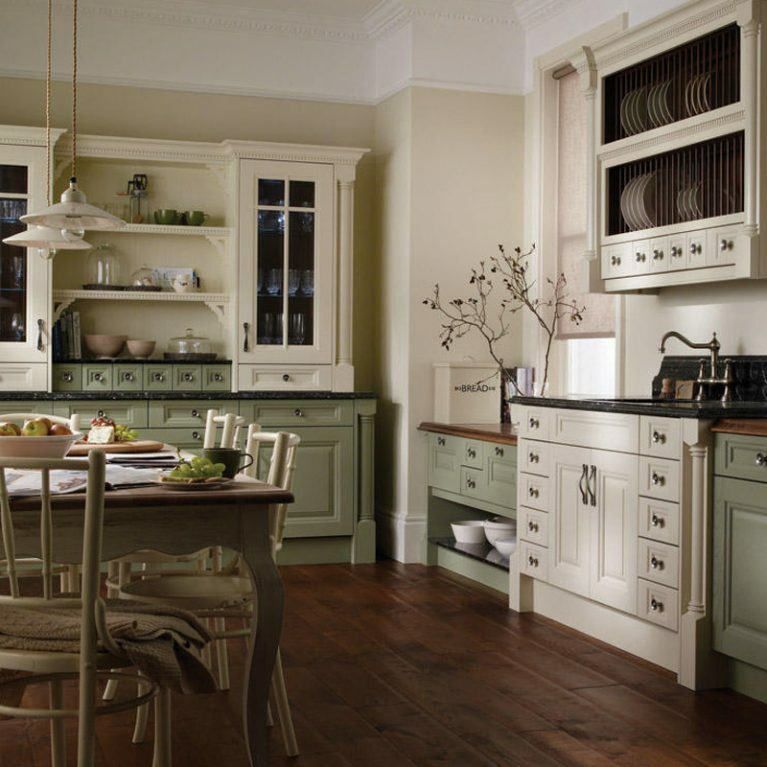 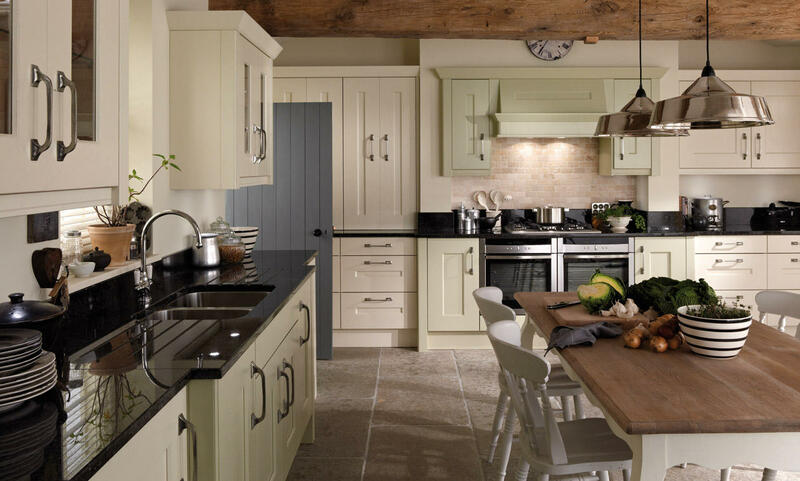 This remarkable Langham classic painted wood kitchen is designed to stand the test of time. 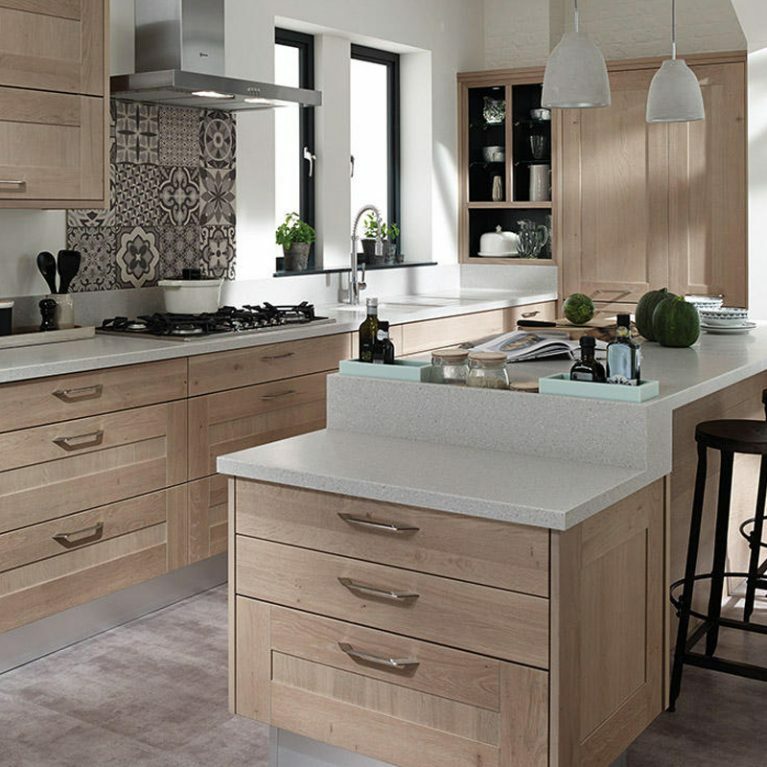 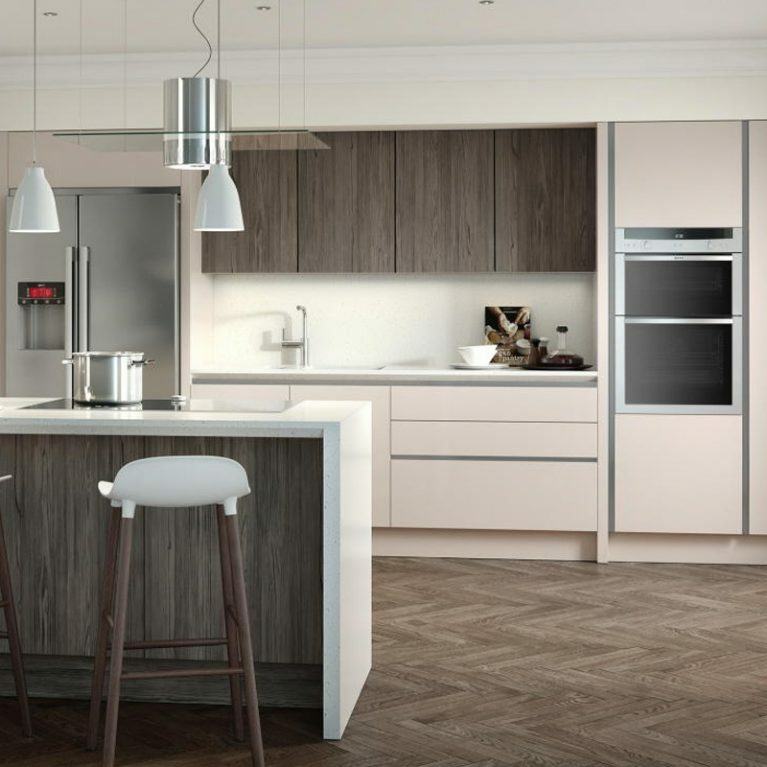 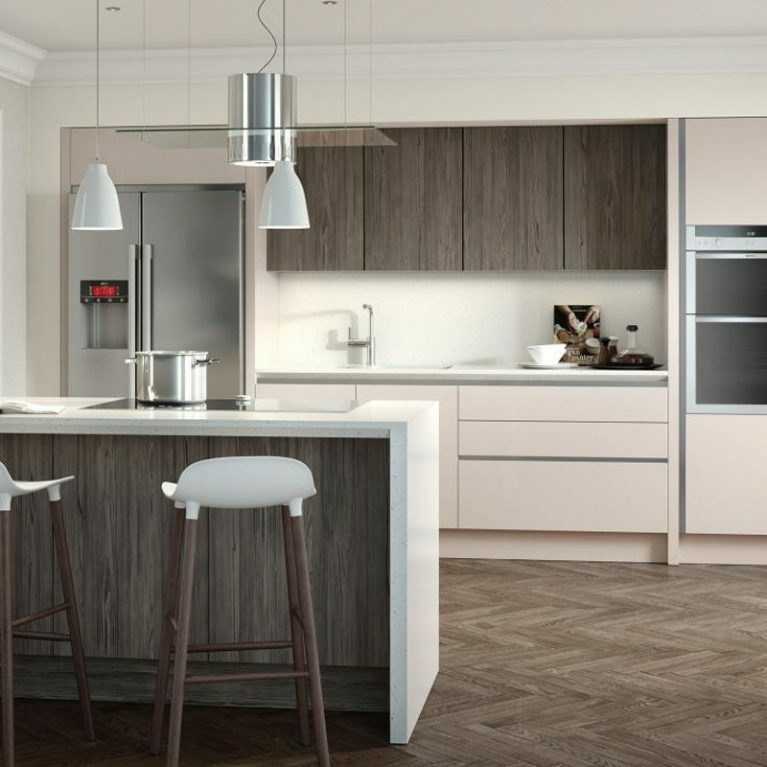 Crafted to perfectly combine modern and contemporary kitchen design to create something completely unique, it’s no surprise that the Langham Painted is such a popular choice. 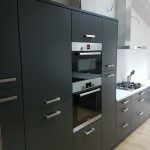 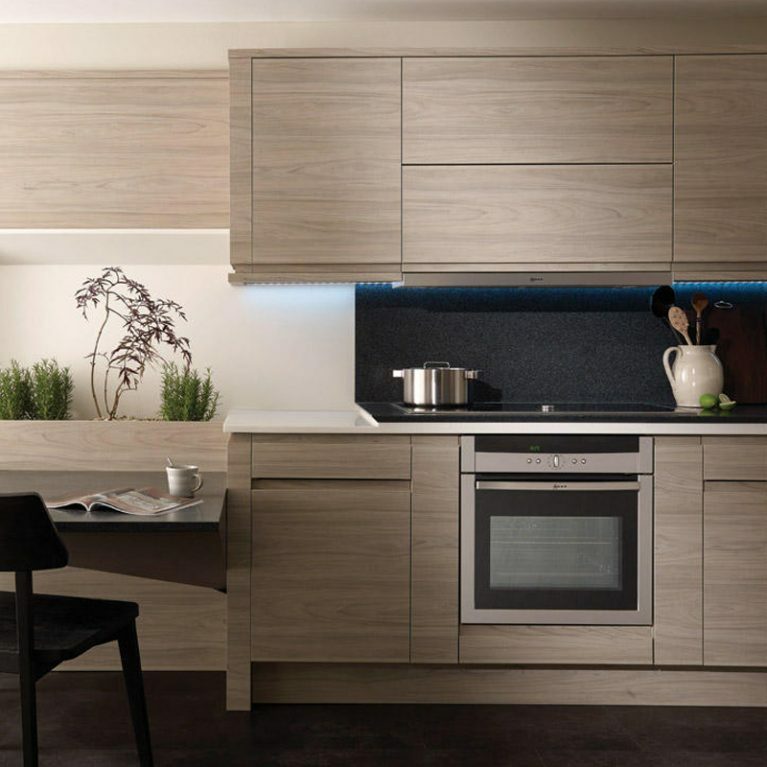 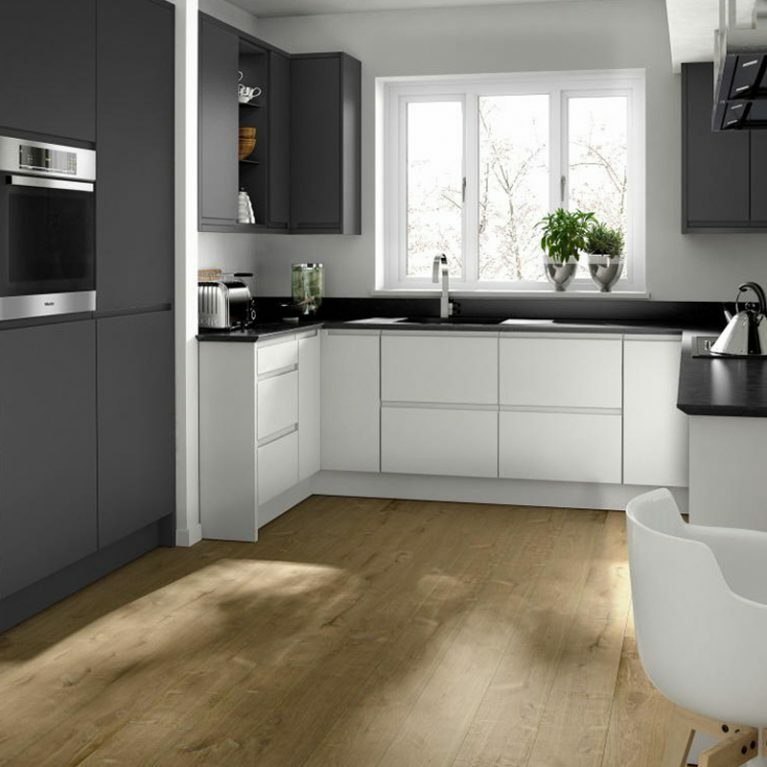 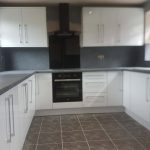 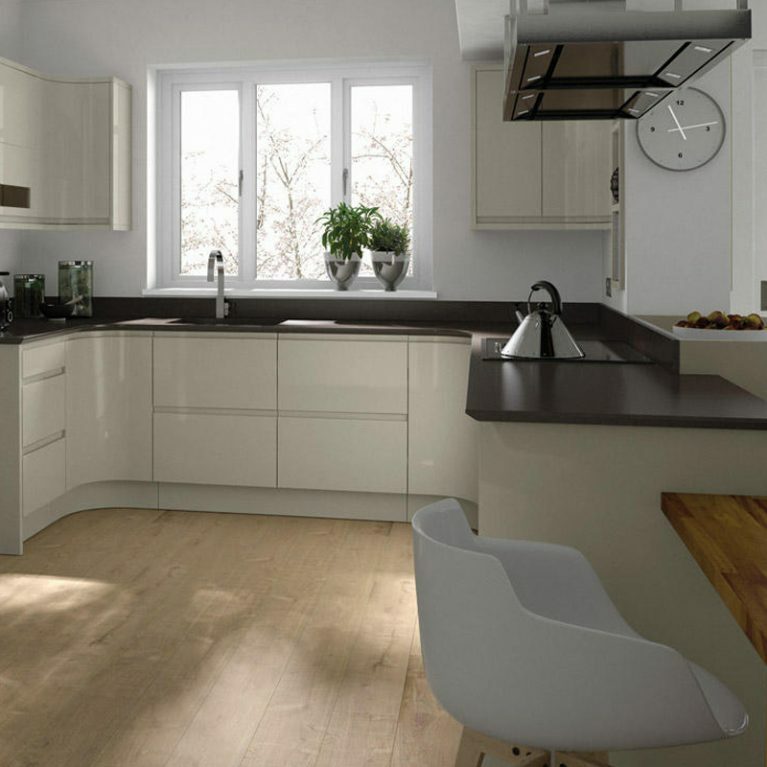 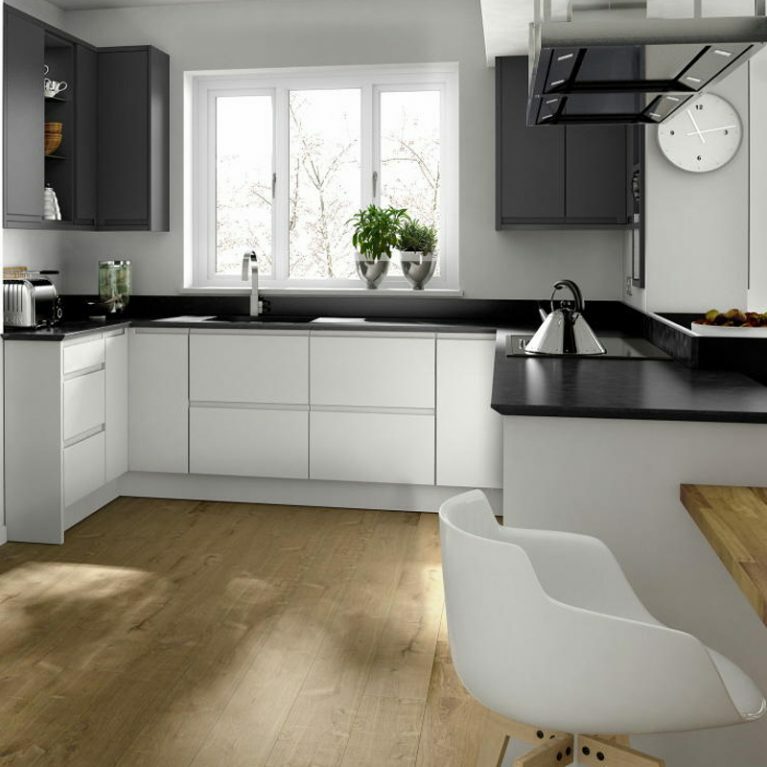 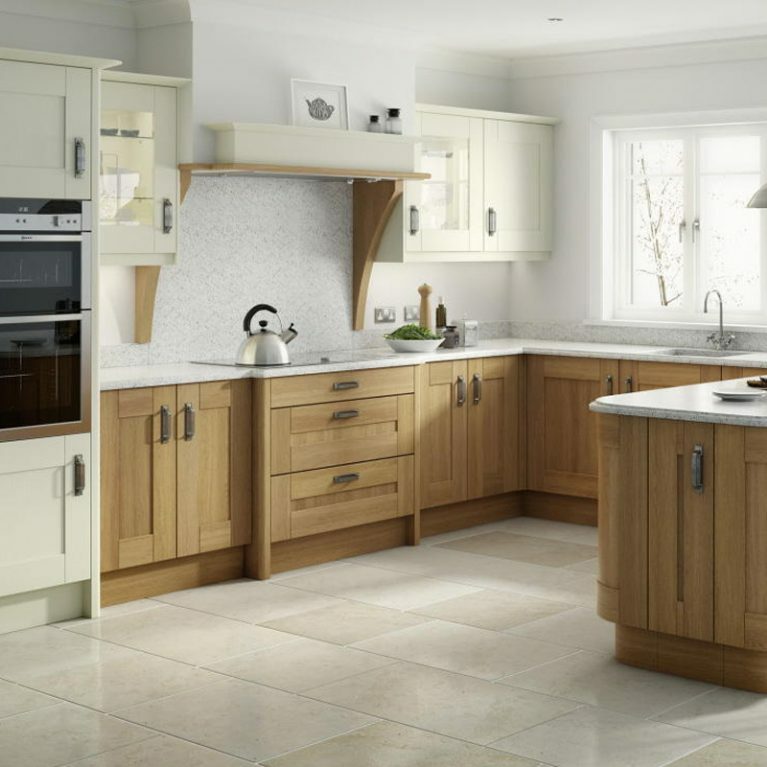 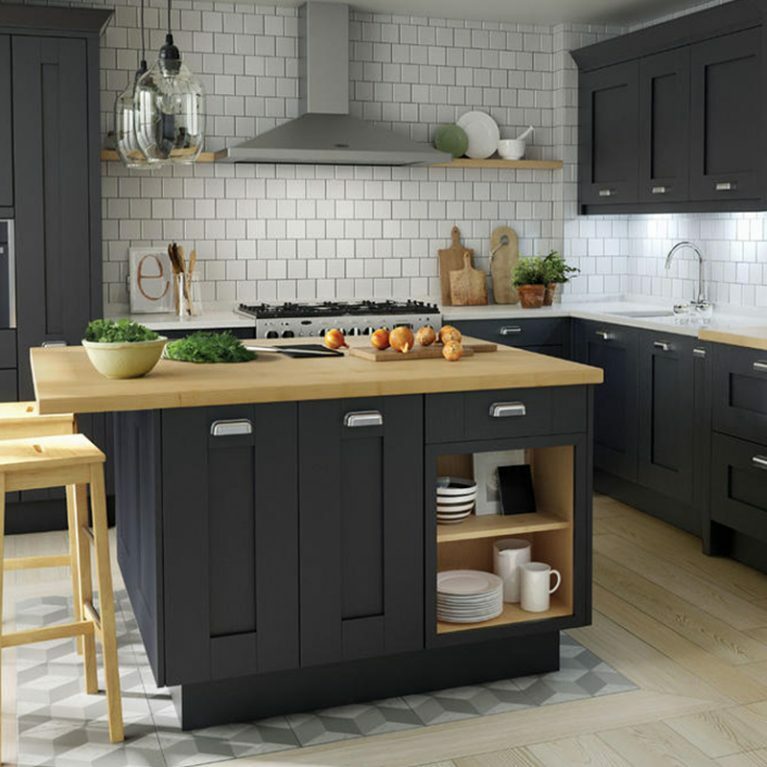 It’s crafted with chunky and sturdy kitchen doors and cupboards, which promise a practical finish that is incredibly sturdy and durable. 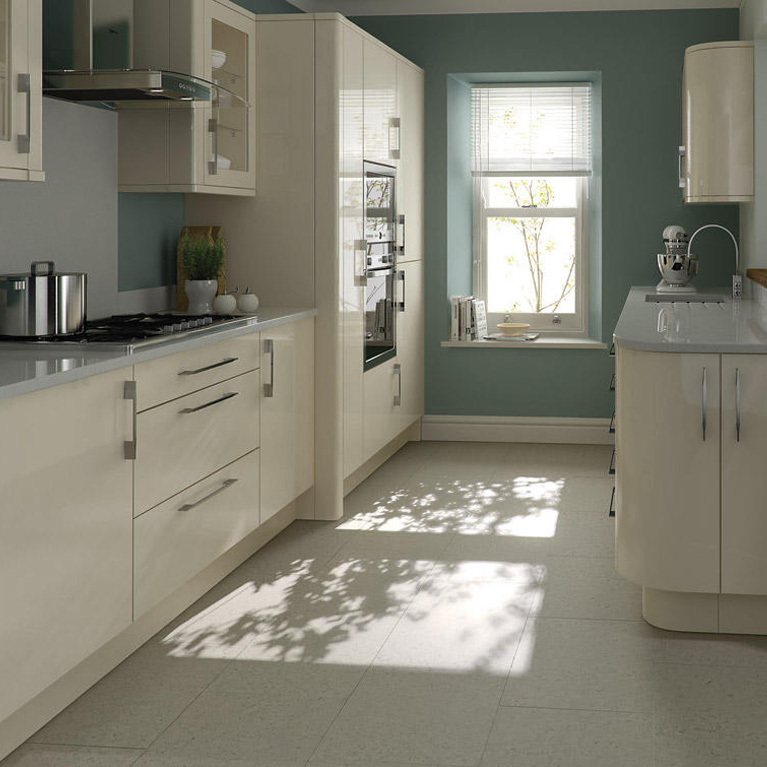 Not only that, but the effortlessly stylish finish will look just as current in 10 years time as it does today. 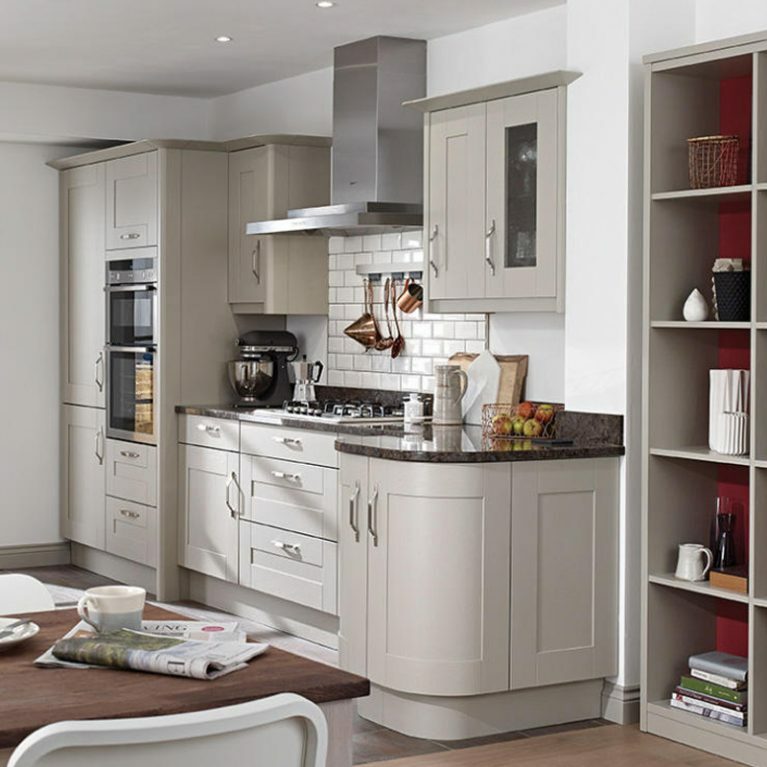 Crafted in a classic shaker style, the Langham classic painted wood kitchen is truly designed to help you maximise the storage opportunities in your kitchen. 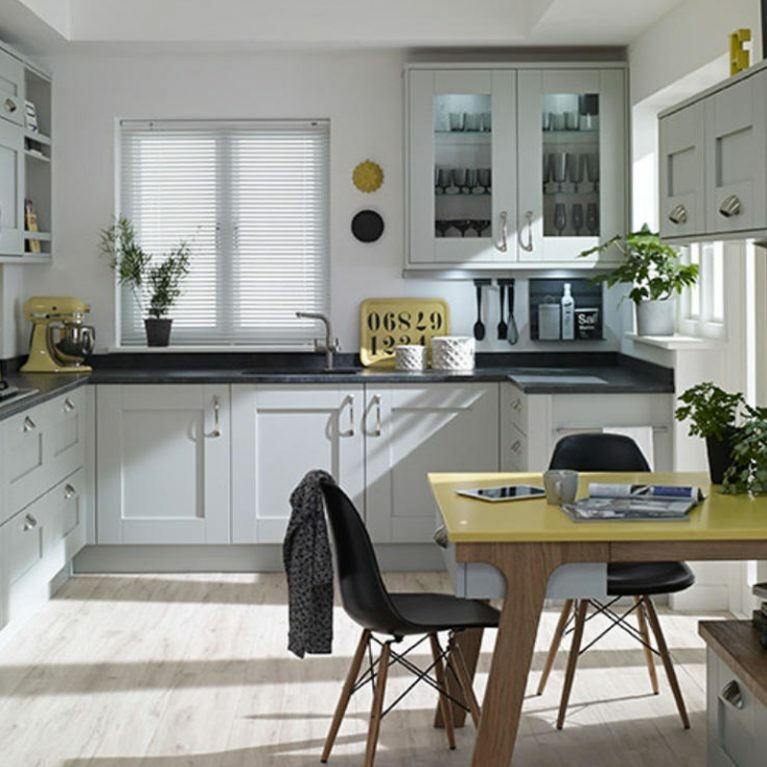 You’ll find endless cupboards, drawers and storage solutions to make sure that all of your kitchen accessories have a home. 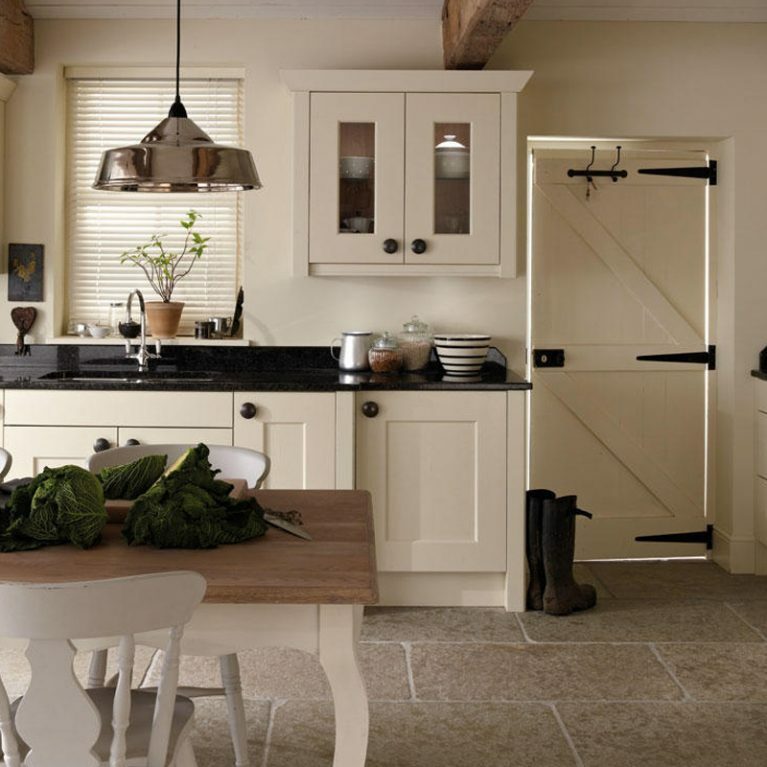 Each of the cupboards are finished with a rustic and chunky handle to add a country aesthetic to your Langham Painted kitchen, helping to ensure a warming ambience for your kitchen. 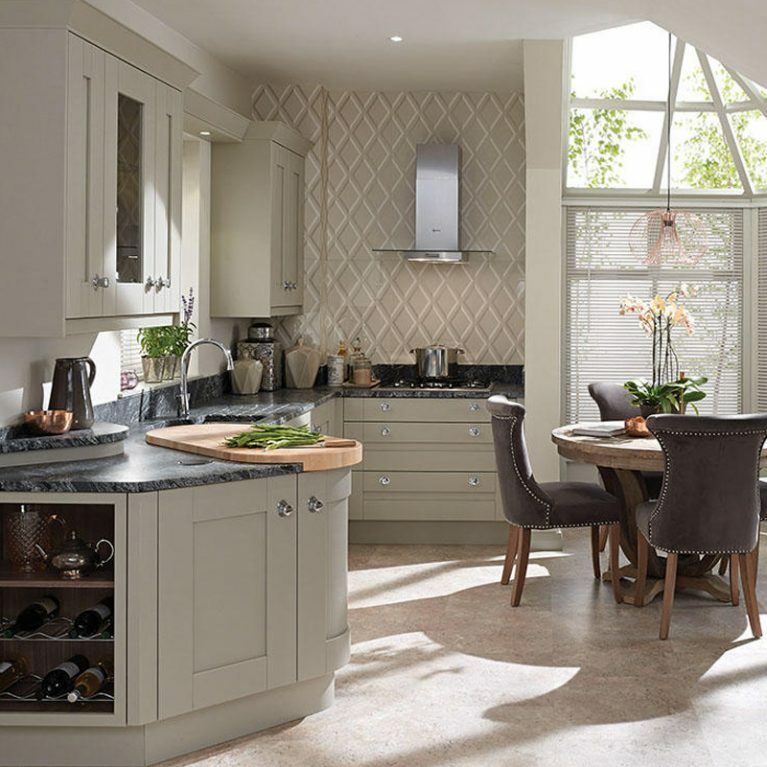 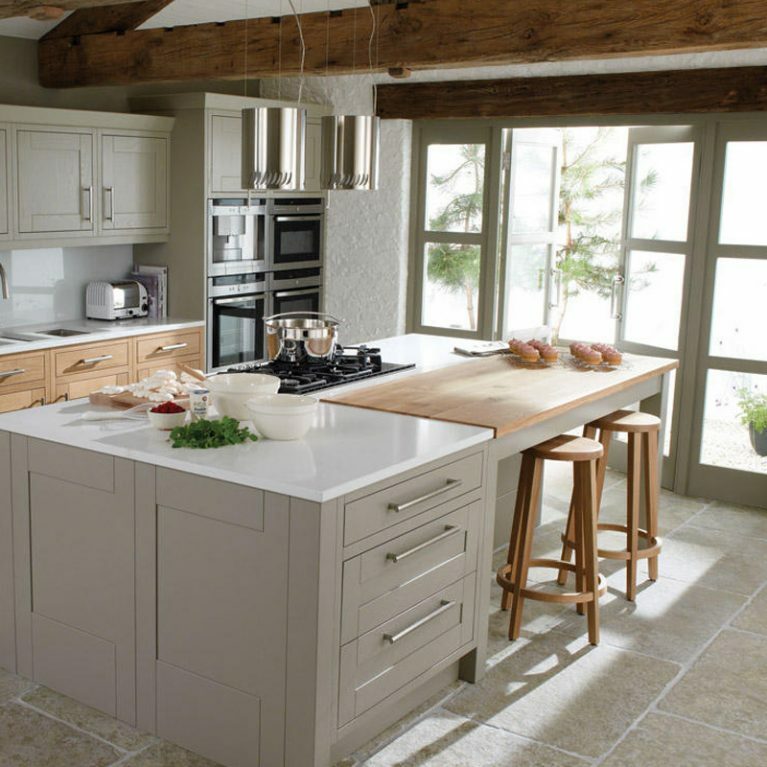 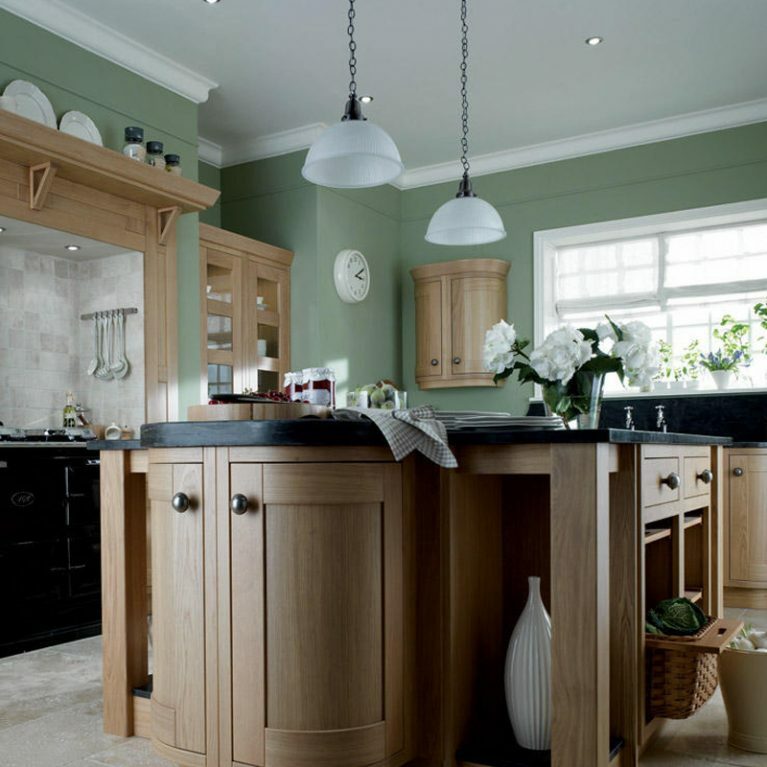 The Langham Painted pictured features a gorgeous cream colour as the foundation of the kitchen. 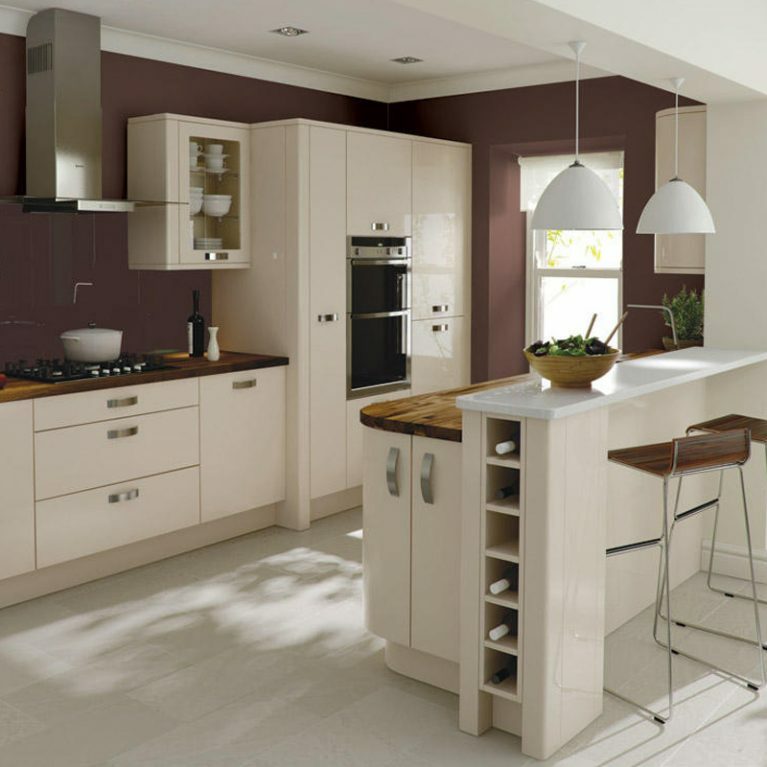 It’s the perfect neutral colour palette to build a colour scheme from. 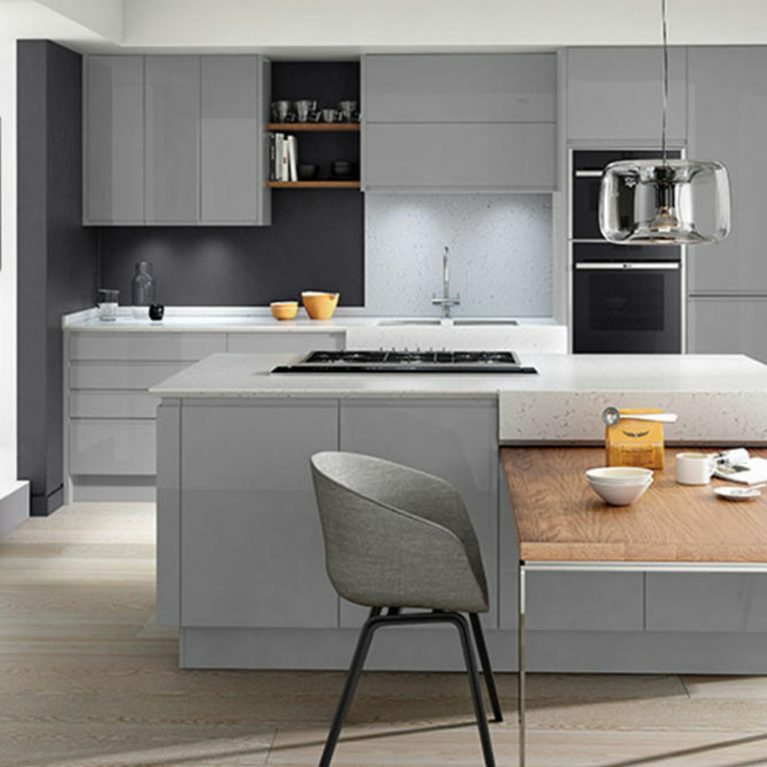 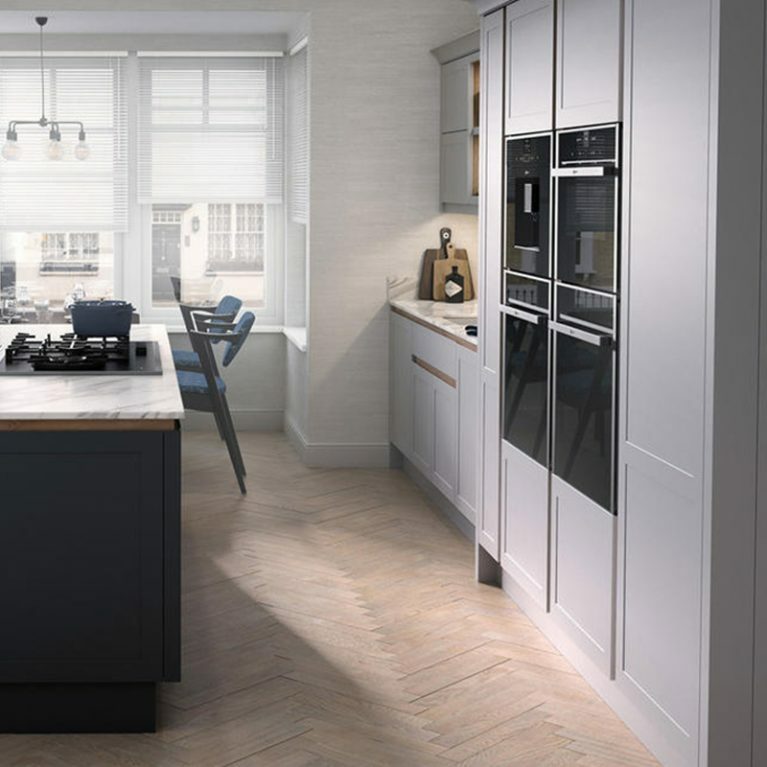 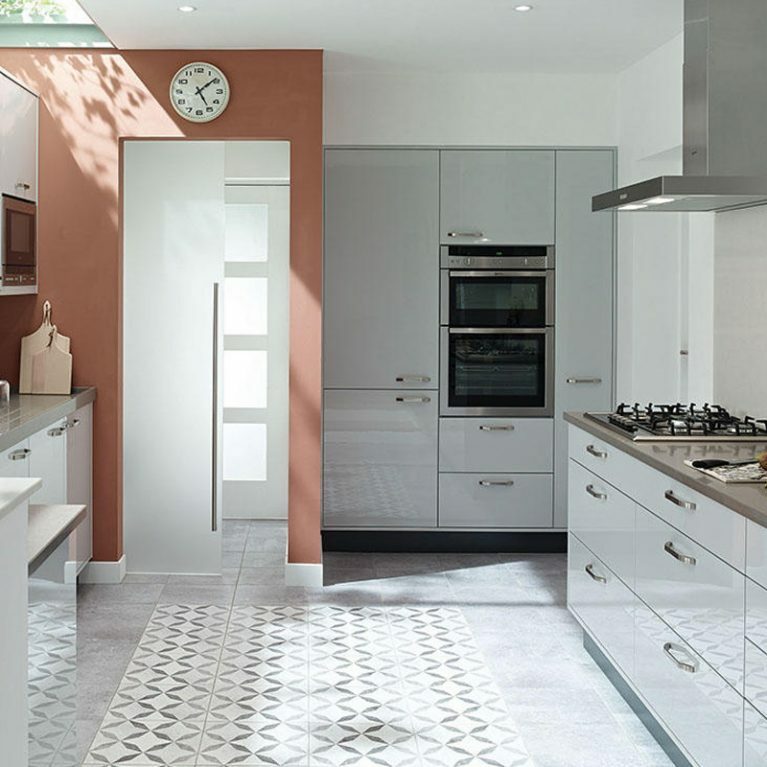 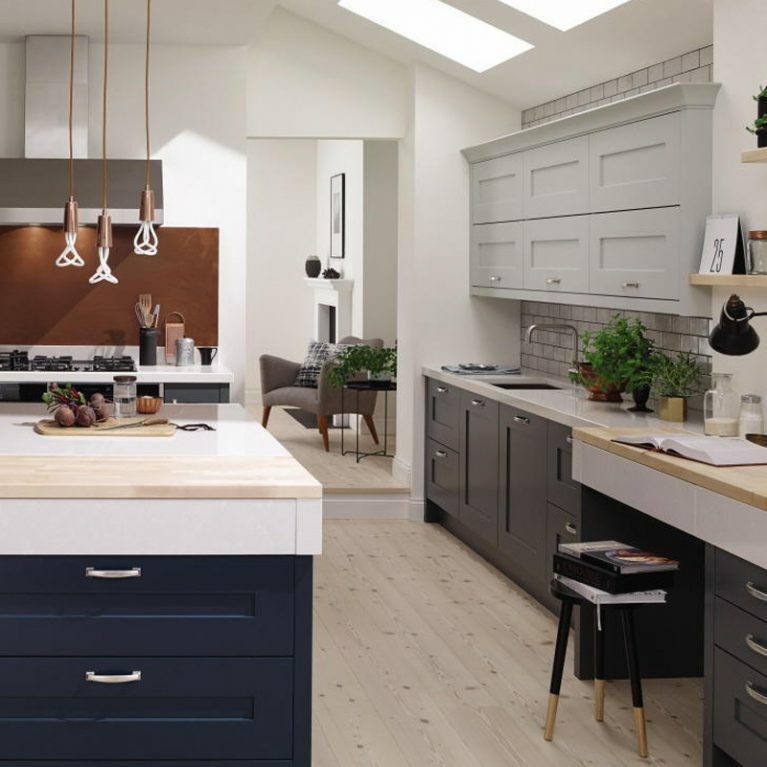 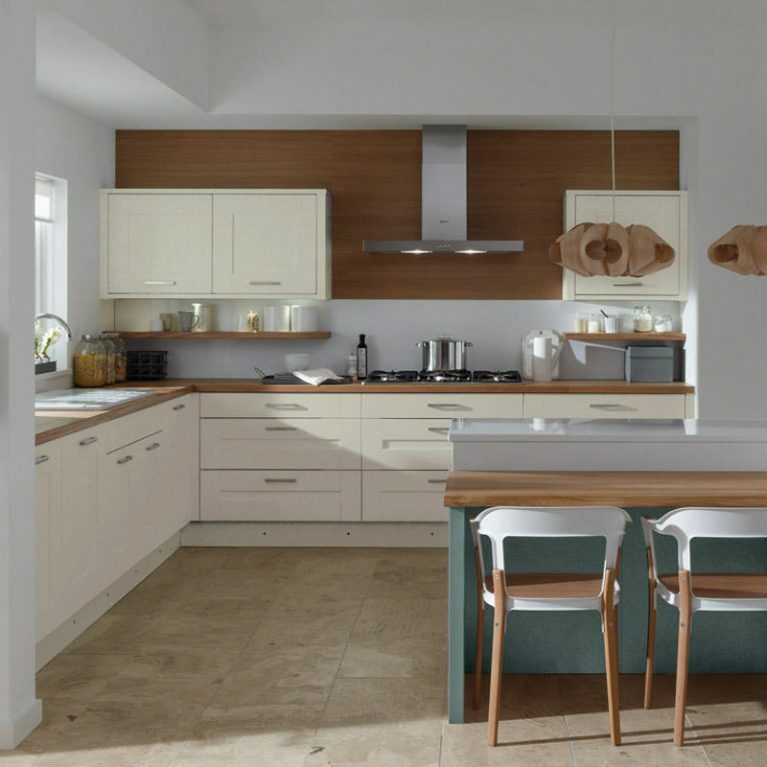 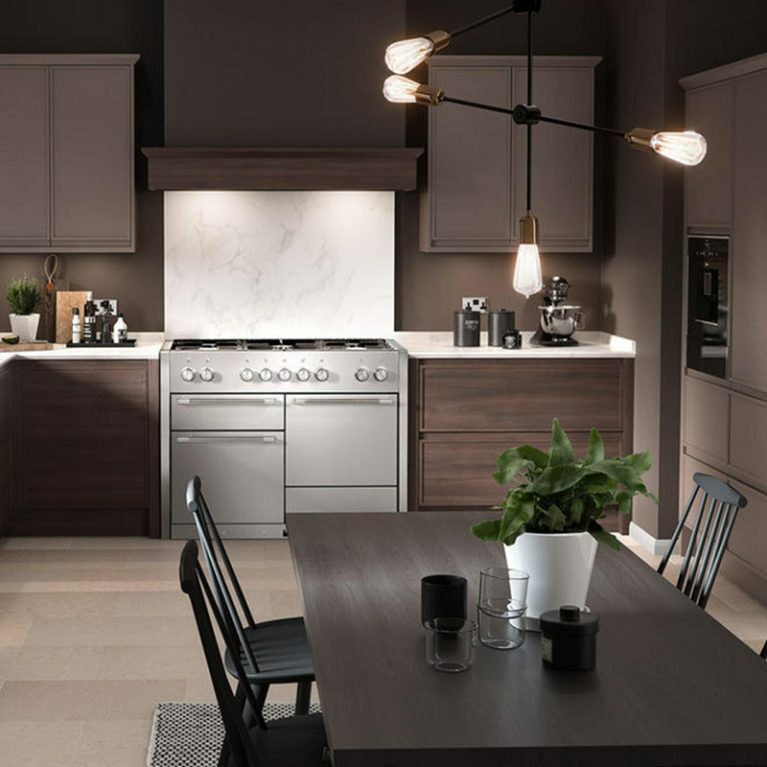 With 27 matte shades to choose from when designing your dream Langham Painted kitchen, you can create the kitchen design of your dreams, and Number One Kitchens can help bring it to life. 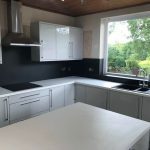 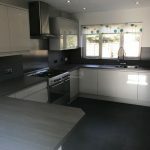 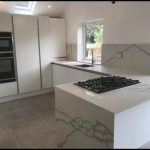 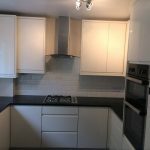 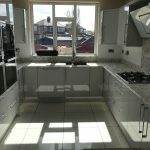 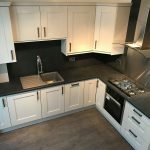 Not only that, but the gorgeous work surface is finished in a beautiful and glossy black shade to offset the cream and create a light and shade design. 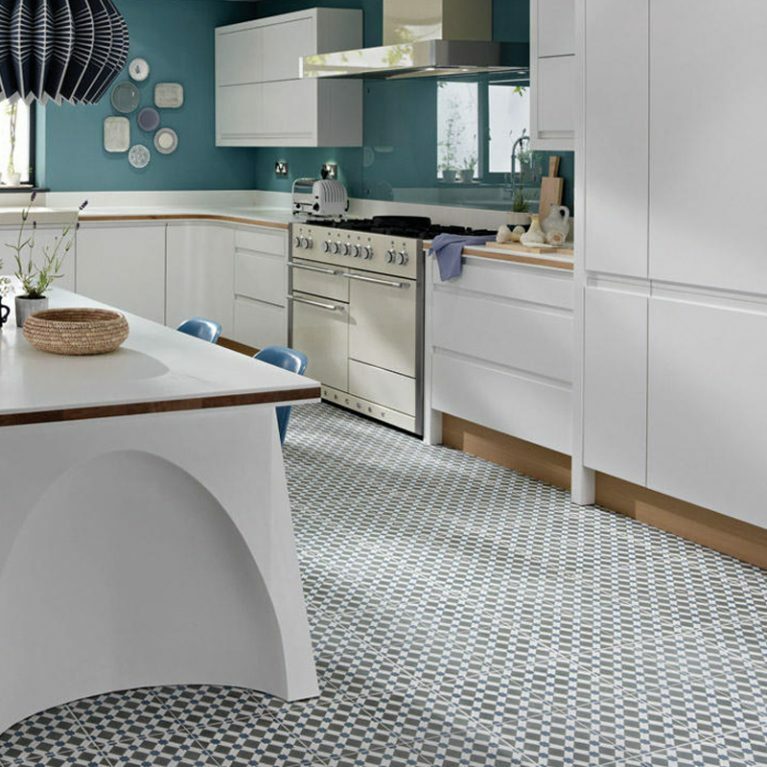 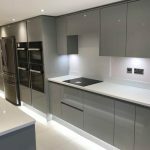 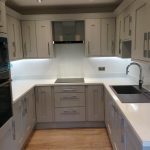 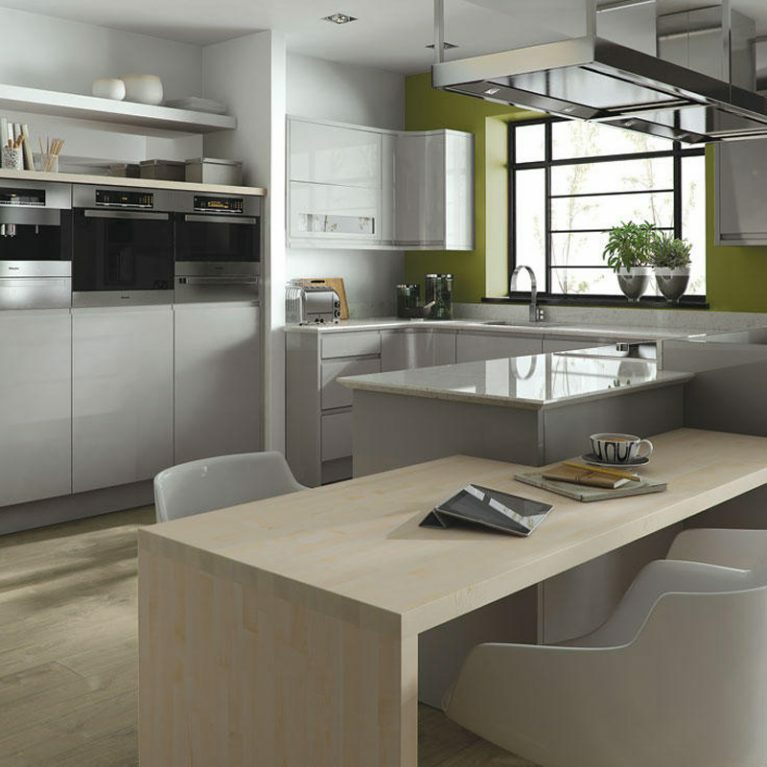 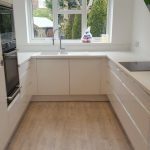 You can choose a similar contrasting work surface, or perhaps something which matches your chosen colour for the cupboards a little closer, creating a seamless finish.